Beitbridge East parliamentarian Albert Nguluvhe on Saturday last week donated 100 bags of cement for the construction of a classroom block and a teachers' cottage at Elangeni Secondary School (Ward 5), some 35 kilometres along the Beitbridge-Masvingo Road. He said the donation was part of his electoral promises to the Tshapfuche community and that it was important for politicians to partner to foster development. "This donation we are making here today is a gesture of goodwill to complement the community's quest to have a secondary school in the area," said Nguluvhe. "During the pre-election period, villagers around this area indicated that they wanted to build a secondary school to minimise the distance children walk to the nearest school which is 16km away at Nuli. "I then engaged some friends over their plight and we have decided to help them with resources to build a classroom block and one teachers' cottage. We are going to fund everything, including roofing material. "Today we brought 100 bags of cement to lay the foundation for the project. ''We expect the classroom block to be completed by the end of this year. In the not-so-distant future we will bring an additional 250 bags." Nguluvhe said the new classroom block will be dedicated to teaching of Science subject's in-line with the Government's thrust to promote the teaching of STEM subjects and innovation in all schools. He said members of the community will mould the bricks to build both the classroom block and the teachers' cottage. Nguluvhe said prior to his donation, the villagers had already mobilised bricks to build another classroom block and ablution facilities. 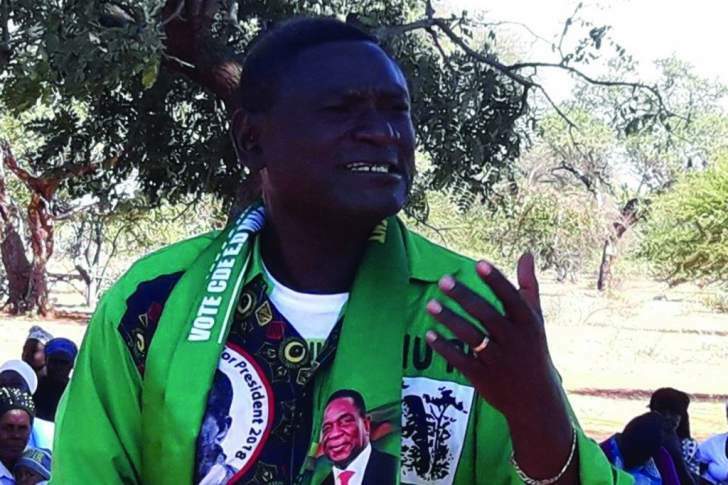 "As local leadership, we have already agreed in principle with the Zimbabwe National Army that they will provide labour to build the school," he said. "It is very important that we support children to get good marks that help shape their desired destiny. At the moment we have a shortage of laboratories." Elangeni Secondary School Development Committee chairman Mr Oscar Singo said the donation was a life-saver for the struggling villagers. He said so far the community had constructed 10 squat holes at the proposed school site, moulded bricks to build one classroom block and drilled one borehole using their own resources. "We have also agreed with the community members who are serviced by the Elangeni Primary School to contribute one bag of cement per household and RTGS$20 towards the construction of the school," said Mr Singo. "We welcome this gesture from our Member of Parliament (Nguluvhe). It came at a time when we were running out of steam." Mr Singo said the institution would absorb students from Elangeni and Tshapfuche primary schools, which have enrolments of 600 and 590 pupils respectively.